Morir Sonando (Die Dreaming) - Tienditadepuertorico.com - Buy Puertorican Food Here!! Combine milk and sugar (to taste) until all the sugar has dissolved. Place in freezer until very cold but not frozen. 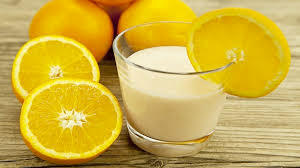 In blender add ice, orange juice, vanilla and milk mixture. Blend until ice has crushed. Garnish with a sprinkle of cinnamon and a piece of your favorite fruit if desired.